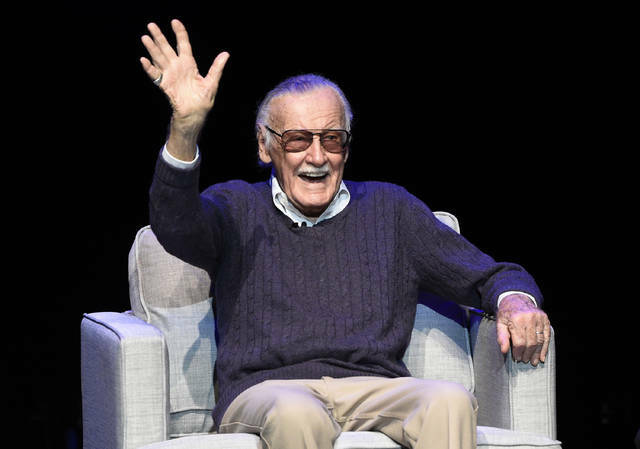 It became easy, in recent years, to dismiss him as the wisecracking grandpa of the American comic book, a past-his-prime gimmick who cameoed alongside Earth’s angstiest superheroes in the high-grossing Marvel blockbusters of the past decade. These outcasts and misfits rose to the alarm clock’s buzzing and slogged to work each morning to get the job done, not in a fanciful Metropolis or Gotham but on the actual streets of New York City and in the imperfect America beyond it. For them, the struggle was the thing — no matter whether the task was saving the world, paying the rent or trying to make ends meet as a freelance photographer or a blind lawyer or an itinerant stunt motorcyclist. Here was Bruce Banner, a military scientist who tried to save someone from one of his test blasts and ended up locked in a battle with his own angry, destructive id — hardly an incidental narrative in an era when psychotherapy and self-help were sharply on the rise. And here was Matt Murdock, blinded in a horrible accident by irradiated waste, proving every night with precision radar powers, as Daredevil, that disability isn’t necessarily destiny. And here were the X-Men, mutants and perpetual outsiders whose struggle to find a place in the mainstream on Earth has been variously framed as a parable for race relations, anti-Semitism and the Red Scare. He talked about stuff behind the scenes and curated a tallish tale of a wacky, collegial studio of writers and artists who might do just about anything in their pursuit of good stories. His regular column, “Stan’s Soapbox,” talked directly to readers in a way that presaged the kind of access to celebrities that Twitter, Facebook and Instagram afford today. Marvel is a calibrated commercial juggernaut now, its stories drowning in the merchandise that amplifies them. It has been dismissed as mass-produced storytelling for a mass-produced age. Yet somehow, among the things Lee manages to leave behind is a lingering sense — snake oil, maybe, but potent nonetheless — that with Marvel’s tales, still, anything might happen. Because, as Stan Lee knew well before America did, we still want our fantastic, unlikely superheroes to be just like us. Or, more saliently, we want to believe that we can be just like them. And who knows what they might do to prevail because, after all, who really knows what we might do? Maybe we can be heroes, sure, but the rent’s still due on the 15th. 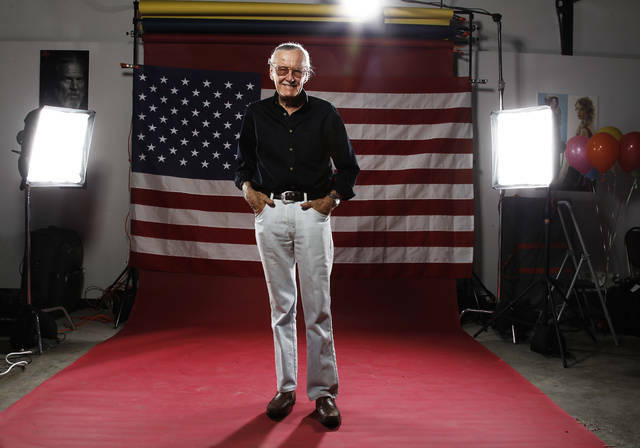 FILE – In this April 16, 2002, file photo, Stan Lee, 79, creator of comic-book franchises such as "Spider-Man," "The Incredible Hulk" and "X-Men," smiles during a photo session in his office in Santa Monica, Calif. Comic book genius Lee, the architect of the contemporary comic book, has died. He was 95.
https://www.sunburynews.com/wp-content/uploads/sites/48/2018/11/web1_121765744-c1a66ef898ea44149a2e01a200cdf967.jpgFILE – In this April 16, 2002, file photo, Stan Lee, 79, creator of comic-book franchises such as "Spider-Man," "The Incredible Hulk" and "X-Men," smiles during a photo session in his office in Santa Monica, Calif. 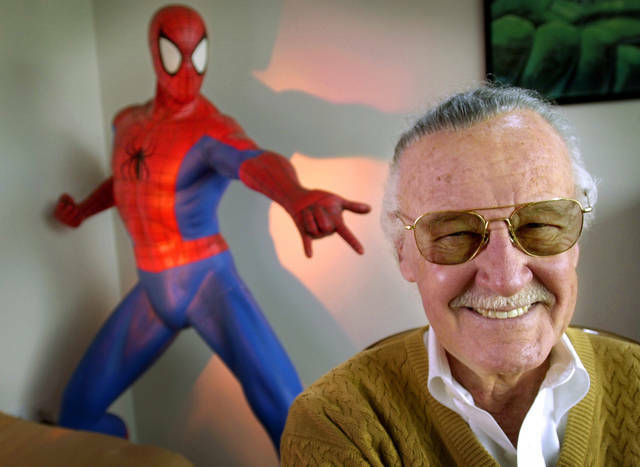 Comic book genius Lee, the architect of the contemporary comic book, has died. He was 95.